A good night's sleep is a must to stay healthy. But what would you do if your spouse snores at night? It can give many a sleepless nights. There is no need to lose your cool instead try some Tips to Stop Snoring Naturally. Let us first look at the causes of snoring to treat it effectively. The obstructed movement of the air during breathing in sleep causes snoring. The obstruction can be due to throat weakness, mispositioned jaw, fat around the throat etc. It is a common condition found in about 30% of adults. 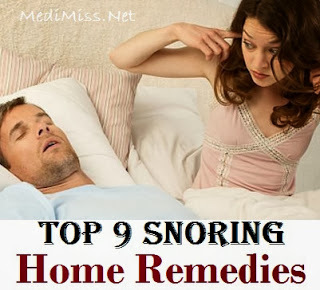 Some tips to stop snoring naturally will help you solving the problem. Start by placing several pillows under the snorer's head. This will elevate the head and stop the blockage of the passageway of the throat. When the head is in the lower position, the tongue falls back which limits the air passage. Some people feel exactly the opposite of the above mentioned point. They feel sleeping on firm pillow or no pillow at all will treat snoring problem. Keeping the neck straight will allow the air to pass freely. Try out both the techniques and see what works best for you. Sleeping on the side is also a natural cure for snoring. Sleeping on one's back pushes the tongue back and blocks the passage of the air. Therefore, it is recommended that the snorer sleeps on either side. Do not take caffeine, sleeping aids or alcohol during bed time. These substances relax the throat and constrict the air passage. As a result, the person snores. Do not take any dairy product before going to sleep. Dairy products build up mucus in the throat. This also leads to snoring at night while sleeping. One of the musical natural remedies for snoring is singing. It is the exercise of the throat and the vocal chords. Singing helps in strengthening the throat muscles. This, in turn, reduces snoring naturally. Losing weight is also a great way to reduce snoring. Overweight people are more likely to sleep on the back. Also the fat gets accumulated around the throat. This is one of the causes of snoring. If the snoring is due to sinusitis or allergy then using a saline solution or humidifier can help you. Keeping the nasal passage moist will decrease the snoring. Try sleeping with marjoram oil bottle by your side. Keep the container open on the bed side and sleep next to it. This is said to make the breathing easier and treat snoring. 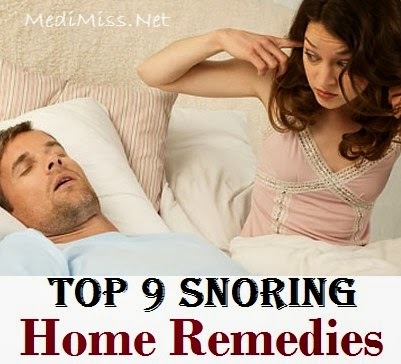 Try these tips to stop snoring naturally and see which one is effective for you.